RUDE is two London-based graphic artists by the name of Abi and Rupert Meats. Their studio opened in 1998 and they have a brilliant portfolio of work for an impressive mix of clients. We've followed and loved Rude's work over the years and so were delighted when they agreed to collaborate on this print. 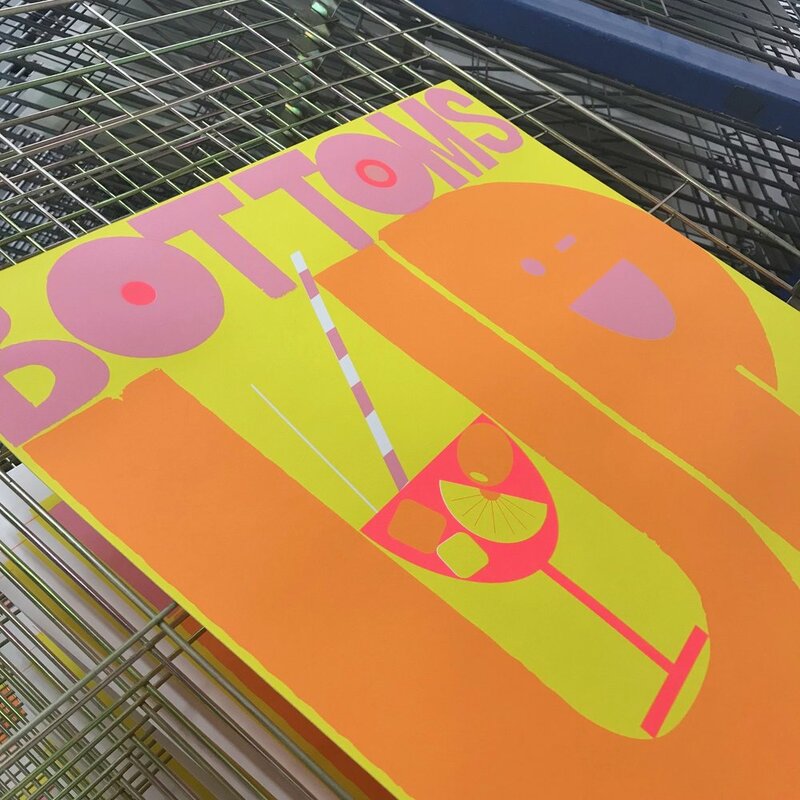 Their work is bright, playful and bold, and this print for the Editions series is no different. Printing 3 colours (flouroescent red, yellow and pink), and where the yellow overlaps the red a stunning shade of orange is created. Only 30 prints have been made and it is exclusive to The Private Press 'Editions' series.